Never stop sporting your Pittsburgh Pirates pride with this Authentic Collection On-Field 59FIFTY fitted hat from New Era. It's sure to be a standout in your collection of team gear with its unmistakable colors and moisture-wicking fabric. 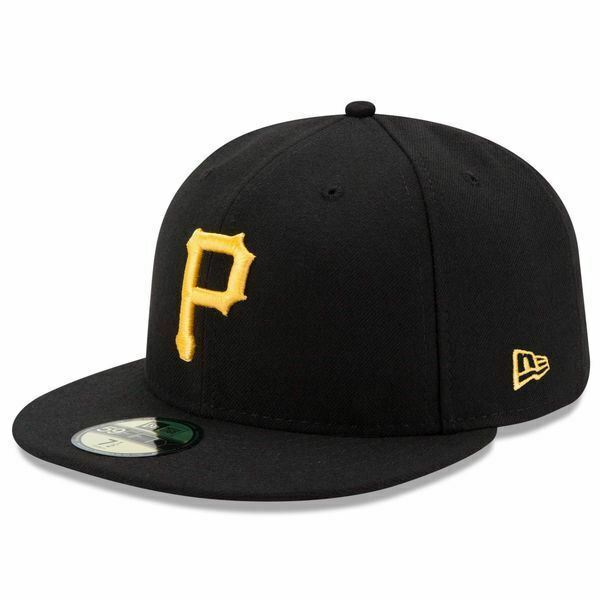 The raised Pittsburgh Pirates logo embroidered on the front of this lid will prove that it's meant for a die-hard fan like you. Crank up your Pittsburgh Pirates fandom and rock out on game day with this On Field Diamond Era 59FIFTY fitted hat from New Era! This authentic hat is perfect for rallying up some team spirit and showing off how much pride you have in your Pittsburgh Pirates! It features a bold Pittsburgh Pirates design, COOLERA® technology that wicks away moisture to keep you cool and dry and SOLARERA® technology that blocks UV rays.